France is urging the Commission to increase the price it pays farmers for surplus milk. But most other countries, including Germany, refuse to return to a regulated market. EURACTIV France reports. The farmers’ demonstration in Brussels on 7 September brought meagre results. Nobody was satisfied by the Commission’s promise of a €500 million rescue plan. In response, the ten main countries affected by the milk crisis demanded a meeting of the Agriculture and Fisheries Council, which will take place in Brussels on 15 September. But for France and Germany, there is more at stake than the welfare of dairy farmers. “It is a purely political conflict. Germany wants to let the market sort itself out, France wants to support market prices by boosting the intervention price for milk and butter,” a source close to the issue told EURACTIV. For now, it seems that Germany is winning the battle. 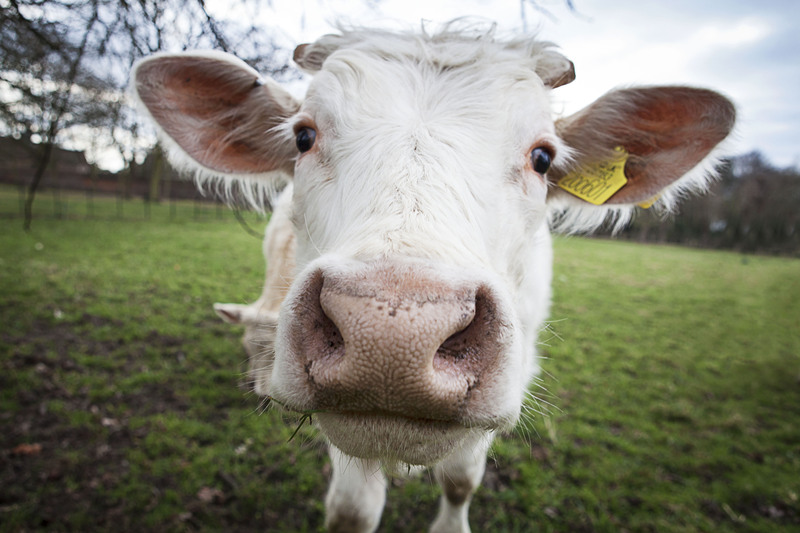 The intervention price at which the EU buys surplus milk stocks shows no sign of changing. To force the hand of Agriculture Commissioner Phil Hogan, the Council would have to unanimously agree on changes to the current regulations. An unlikely outcome. Milk prices on both sides of the Rhine have plummeted by 20%, placing thousands of farms in danger of financial collapse. The implications of the crisis could be very serious for both countries: France produces 25 billion litres of milk every year, while Germany produces 30 billion litres. But in this sector, like others, production costs vary greatly from one country to another. The use of intervention stocks over recent weeks illustrates this. While fear of the crisis is widespread in France, the country has not yet had to rely on milk stocks. Germany, on the other hand, has used 370 tonnes of milk powder. “There is a political issue and disagreement, should we send a signal on the price or not? We think the answer is yet,” French Agriculture Minister Stéphane Le Foll said on Monday 7 September. Raising the intervention price would push up the purchase price paid to farmers by the milk industry, which is currently held down by the abundance of supply. According to the written version of Jean-Claude Juncker’s State of the Union speech on 9 September, he had planned to address the issue of “breaking some retail oligopolies” as a way to increase the price paid to farmers. This barely concealed attack on the purchasing departments of the big distributors, who often conspire to keep the prices of agricultural goods low, did not make it into his final speech. This is not the first time France and Germany have clashed over agricultural policy, but the exchanges this time have been particularly venomous. “As long as they don’t come and tell us to harmonise pay! The minimum wage is far too low in Germany, we have dumping even inside the EU,” said Guy Vasseur, president of the French Permanent Assembly of the Chambers of Agriculture. "The measures suggested by Brussels are completely ineffective. Intervention prices will not change anything. They won't be much comfort when there are no farmers left! At Renault, when consumption falls, they slow down production. In the milk business, without regulation, farms disappear," said Guy Vasseur, the president of the APCA. The milk crisis is in large part due to a steep drop in demand from China, whose imports of milk powder from the EU have halved in just one year. According to the UN Food and Agriculture Agency, this decline combined with the end of milk quotas to push milk prices into a downward spiral, along with many other agricultural raw materials. Agricultural prices are now at their lowest for seven years. Many dairy farmers went under when the US gov ended price controls as I suppose many Frenchman will also. The French need to decide, do they want a free market economy or not ? If not then leave the EU. ah yes “a free market economy” interesting fairy story – but in the real world – no such thing. market function poorly in most areas, most of the time.